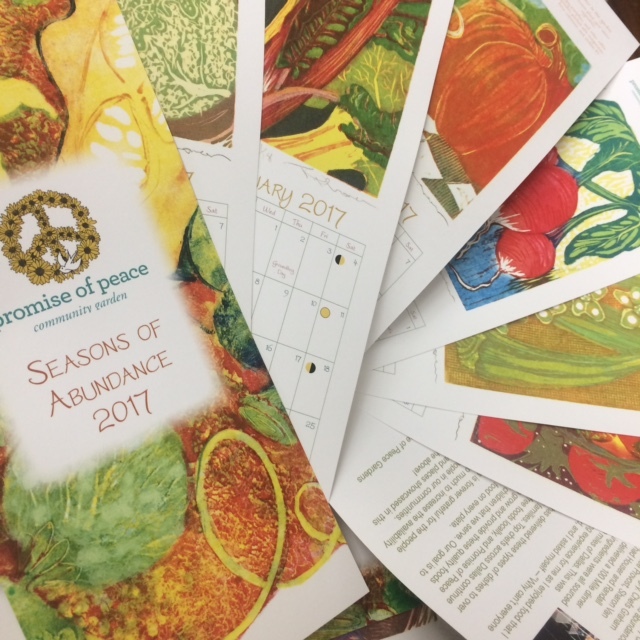 The 2017 Promise of Peace “Seasons of Abundance” calendar is now available for purchase! Find them at North Haven Gardens and Grow North Texas store in the shed at the Dallas Farmers Market. The cost is $25 and benefits the Promise of Peace Community Gardens.